On Wednesday, April 17 , 2019, a contractor bored through a 2 inch water line on Loden Way in Ruelle du Chene Subdivision in Madisonville. Out of an abundance of caution and in accordance with Louisiana Department of Health regulations, the identified customers are under a Precautionary Boil Advisory. Tammany Utilities will rescind this BOIL ADVISORY upon notification from the Louisiana Department of Health, Office of Public Health that additional water samples collected from our system have shown the water to be safe. Customers affected by this advisory will be advised when it is rescinded by hand delivered notices, signs throughout the area and notices on the Parish Government’s web and social media sites. If you have any questions, please call Tammany Utilities at (985) 276-6400. On Saturday, April 6 , 2019, a problem with the air compressor at the St. Gertrude well caused low water pressure. Out of an abundance of caution and in accordance with Louisiana Department of Health regulations, St. Gertrude Subdivision is under a Precautionary Boil Advisory. On Monday, March 25 , 2019,Tammany Utilities (TU) repaired a leaking water service line that feeds Llama’s seafood. To complete the work, TU will need to turn the water off to the above identified customers. In accordance with Louisiana Department of Health regulations, the customers listed above are under a Precautionary Boil Advisory. Customers affected by this advisory will be advised when it is rescinded by hand delivered notices. If you have any questions, please call Tammany Utilities at (985) 276-6400. On Monday, March 25, 2019, Tammany Utilities repaired a leaking 2-inch water service near the corner of Cross Gates Boulevard and E. Gause Boulevard. To complete the work, TU turned the water off to the above identified customers. In accordance with Louisiana Department of Health regulations, the customers listed above are under a Precautionary Boil Advisory. Customers affected by this advisory will be advised when it is rescinded by hand delivered notices and notices on the Parish Government’s web and social media sites. If you have any questions, please call Tammany Utilities at (985) 276-6400. On Wednesday, March 20 , 2019, at 9 AM, Tammany Utilities (TU) will be making improvements, with the installation of a flow meter and check valve, on the Ben Thomas water well storage tank. Depending on how long the installation takes, customers may or may not lose water pressure. Out of an abundance of caution and in accordance with the regulations of the Louisiana Department of Health, all TU customers in the Ben Thomas Community will be under a Precautionary Boil Advisory. Customers affected by this advisory will be advised when it is rescinded by an automated phone call, signs throughout the area and notices on the Parish Government’s web and social media sites. If you have any questions, please call Tammany Utilities at (985) 276-6400. On Tuesday, March 12, 2019, Tammany Utilities will be repairing a water leak near the intersection of Cross Gates Boulevard and Sutton Drive. To complete the work, TU will need to turn the water off to the above identified customers. Once service is restored, the customers listed above will be under a Precautionary Boil Advisory. Tammany Utilities has received confirmation from the Louisiana Department of Health that the water samples are clear. Therefore, the Boil Advisory is rescinded. If you have any questions, please call Tammany Utilities at (985) 276-6400. On Tuesday morning, March 12, 2019, there was an electrical issue at the Alton well site, causing a brief drop in pressure throughout the water system. Tammany Utilities is issuing this precautionary boil advisory out of an abundance of caution. Again, please be sure to disinfect your own water prior to consumption until you have been advised otherwise.Tammany Utilities will rescind this BOIL ADVISORY upon notification from the Louisiana Department of Health, Office of Public Health that additional water samples collected from our system have shown the water to be safe. On Tuesday, March 12 , 2019, Tammany Utilities (TU) will be replacing the air compressor on the St. Gertrude well storage tank. To complete the Repairs, TU will need to turn the water off to the above identified customers. Once service is restored customer listed above will be under a Precautionary Boil Advisory. Tammany Utilities will rescind this BOIL ADVISORY upon notification from the Louisiana Department of Health, Office of Public Health that additional water samples collected from our system have shown the water to be safe. Customers affected by this advisory will be advised when it is rescinded by hand delivered notices, signs throughout the area and notices on the Parish Government’s web and social media sites. If you have any questions, please call Tammany Utilities at (985) 276-6400. On March 6, 2019 a water leak was discovered coming from our water main along the Highway 190 Service Road in Mandeville. To complete the repair, Tammany Utilities (TU) will need to turn the water off to the above identified customers. Once service is restored, the customers listed above will be under a Precautionary Boil Advisory. Tammany Utilities will rescind this BOIL ADVISORY upon notification from the Louisiana Department of Health, Office of Public Health that additional water samples collected from our system have shown the water to be safe. Customers affected by this advisory will be advised when it is rescinded by hand delivered notices and notices on the Parish Government’s web and social media sites. If you have any questions, please call Tammany Utilities at (985) 276-6400. On Wednesday, February 27, 2019, Tammany Utilities (TU) will be relocating a water main under Highway 22. The water main relocation is required by the Louisiana Department of Transportation and Development as part of the improvements they will be making to Highway 22. TU has elected to perform this work at night to cause as little disruption to our customers as possible. The customers identified above will have their water turned off at 10 PM on February 19th so that TU can complete this work. Water service will be restored by 8 AM on February 20th. Out of an abundance of caution and in accordance with Louisiana Department of Health regulations, once service is restored, all of the identified customers will be under a precautionary boil advisory. On Wednesday, February 6, 2019, Tammany Utilities (TU) will be temporarily turning the water off to the customers identified above. The water will be turned off from 9am to approximately 5pm to allow routine maintenance to the system. Once service is restored, out of an abundance of caution and in accordance with the Louisiana Department of Health (LDH) regulations, a precautionary boil advisory will be in place for the customers identified above. Tammany Utilities will rescind this Boil Advisory upon notification from the Louisiana Department of Health ‑ Office of Public Health that additional water samples collected from our water supply system have shown our water to be safe. Customers affected by this advisory will be advised when it is rescinded by door hangers and notices on the Parish Government’s website and social media sites. If you have any questions, please call Tammany Utilities at (985) 276-6400. 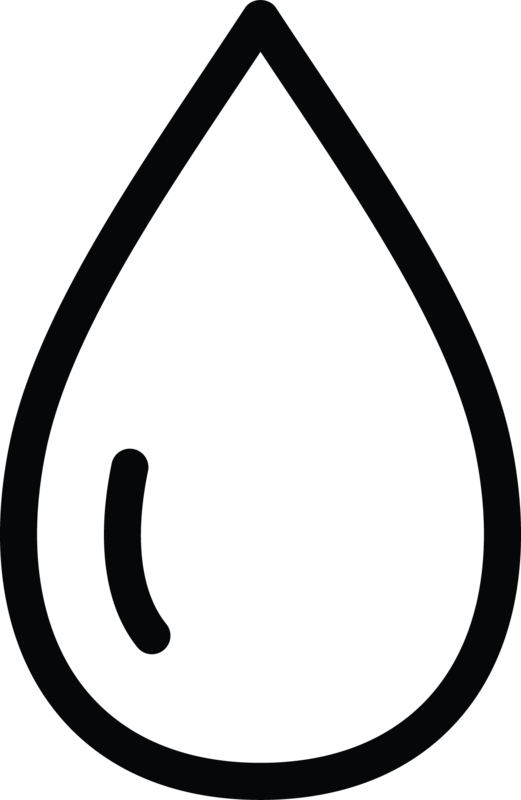 On Friday, February 1, 2019, there was an electrical issue at the Alton well site, causing a brief drop in pressure throughout the water system. While the well itself-maintained pressure, some residents indicated that they had no water pressure at all. Tammany Utilities is issuing this boil advisory out of an abundance of caution. On January 30, 2019 a 2” water line was broken in the area. To complete the repairs, TU will need to turn the water off to the above identified customers. Once service is restored customers listed above will be under a Precautionary Boil Advisory. 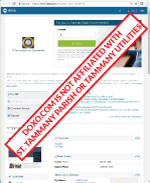 Is Tammany Utilities my Provider? GET EMERGENCY NOTICES: Sign-up to receive critical water updates, delivered to your email inbox or as a text to your cell phone.